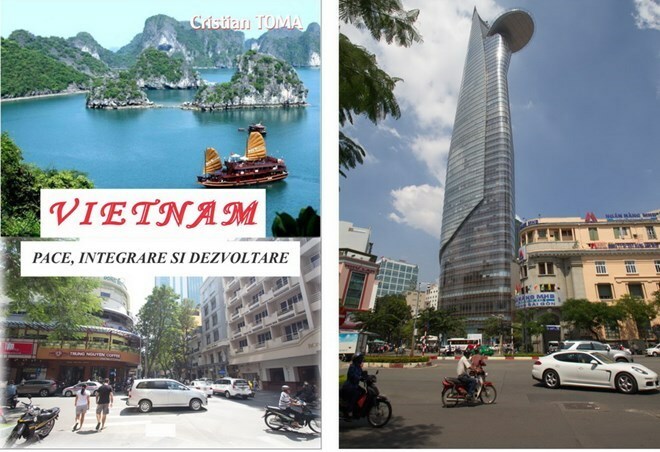 Hanoi (VNA) – Vietnam’s history, country, people and culture are introduced through a 90-page book named “Vietnam: Peace, Integration and Development” published by the Romanian Craiova University Publishing House. Written by editor-in-chief of the MonitorOltenia newspaper Cristian Toma, the book reflects his experience of Vietnam during a fact-finding tour of the country. Admiration for the beauty of Vietnamese nature and people, and the development of the country feature in the first part of the book. The following part provides an insight into Vietnam’s geographical location, political institutions, culture, history, religion, art, festivals, cuisine and tourist attractions. Notably, the author stressed that Vietnam has improved its position in the international arena and has contributed to regional and international forums like ASEAN and the UN. The Doi moi (Reform) process in the past three decades helped Vietnam gained comprehensive development in economy and politics, improving the livelihoods of its people, according to the book. Regarding the East Sea issue, Toma gave legal and historical proof affirming Vietnam’s sovereignty over Hoang Sa (Paracel) and Truong Sa (Spratly) archipelagos. The book is billed as an encyclopedia about Vietnam and is expected to bring the country’s culture, people and achievements closer to Romanian readers.